Ever since the Fab Four took the world by storm in the mid-sixties, there have been many jazz artists eager to ride their coattails of popularity by covering those great songs. Count Basie got things started in 1966 with some cheesy big band hijinks, and no doubt over the years there have been some sublime Beatles covers by artists like Jaco Pastorius and Pat Metheny. But many jazz covers of Beatles songs fall flat, like Sarah Vaughan’s egregious versions from the early 1980s or any number of nausea-inducing smooth jazz versions since then. This is why I was intrigued to see an album of Beatles covers nominated for this year’s Grammy awards in the category for Best Large Jazz Ensemble Album. We’re talking Big Band Beatles, which I wouldn’t have expected in 2016. Trumpeter John Daversa is a composer, arranger and bandleader, and his Progressive Big Band has been in action since 1996. The “progressive” title fits, because it’s not your grandfather’s big band. This 40+ member band brings a new energy and hints of the avant-garde to the big band sound, with powerful rhythmic segments and atonal tangents featured in the mix. 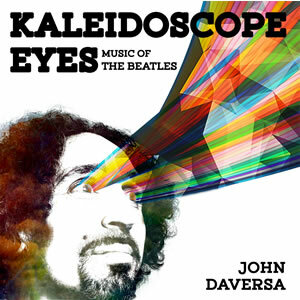 So I listened to a few tracks from his Grammy-nominated album Kaleidoscope Eyes: Music Of The Beatles by the John Daversa Progressive Big Band and was pleasantly surprised. There’s really nothing quite like it. Check out “I Saw Her Standing There”. Sometimes they have the driving unity of a jazz-funk outfit like Tower of Power, other times there’s the richness and virtuosity of a symphony orchestra. And what really knocked me out was a rap section from the vocalist Katisse. Wow, big band rap, what would Duke Ellington say? He’d probably love it. Jazz cats have always been some of the hippest people on earth. In any case, if you never “got” jazz, don’t bother with this stuff. But if you ever leaned that way a bit, give it a listen. It shows a very old style of music growing and changing with the times. Talking about this album, jazz giant Terence Blanchard said “This is art. This is what music should be. No re-creation. No mimicking. Just honesty. Fearless honesty.” And honesty is maybe the most important thing any of us look for in music, isn’t it?